Over 80 years later, Kate Parker, divorced, alcoholic, and broke, moves into the dilapidated old convent she dreams of turning into a bed and breakfast, whilst changing her life. Although the locals refuse to go near the place at night, Kate is determined to stay while the renovations take place. 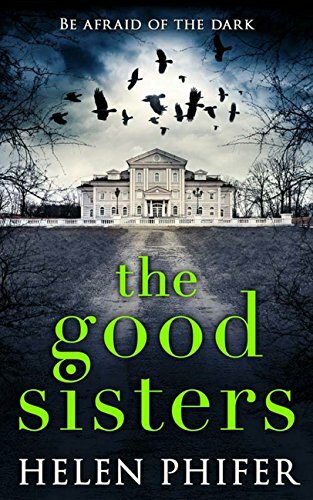 But when she starts to hear strange noises at night, and the crucifixes she had removed reappear on the walls, Kate starts to suspect she is not entirely alone in her new home. After losing her best friend to Cancer and ultimately her husband and kids to the alcoholism, Kate Parker has very little left. She stumbles upon a derelict house that would be perfect for her to renovate and turn into a small guesthouse. The story is told between the 1930s and the present day where we learn of the Evil residing in the house. Its a fast paced story that deals with alcoholism, heartache and romance all wrapped up in a classic horror story. I enjoyed the book but the style and content of the writing would have been better suited to a younger audience. I also felt that the tension and horror was missing. There was no build up, no tension just straight into the action. You knew what was going on from the first chapter and the ending was obvious. Not a bad book, but not a great one either.